The Royal British Legion has captured stories of the wonderful people that make up the Legion family. 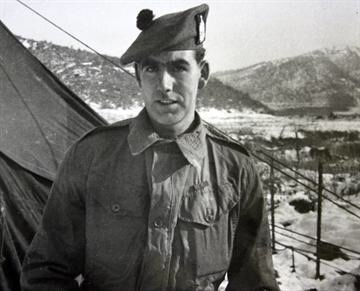 This short video tells the story of Bill Speakman VC, who was awarded the Victoria Cross by HM King George VI in 1951 for valour during the Korean War; he was subsequently the first VC holder invested by HM Queen Elizabeth II. Bill was helped to move from Manchester to Cornwall by the Royal British Legion, who also provided a Poppy Break at Byng House, Southport.